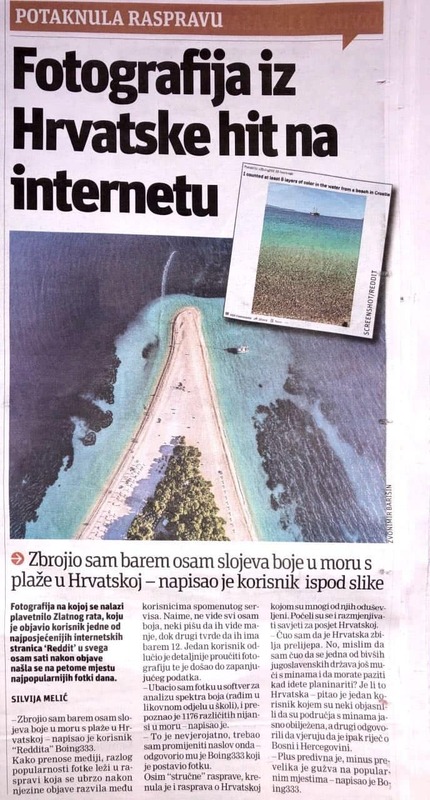 Photo of Zlatni rat was published on an interent site Reddit, and got a lot of attention from the useres of the site, as well as the Croatian news portal, as "Slobodna Dalmacija". On Reddit the user that posted the photo says: "I counted at least 8 layers of color in the water from a beach in Croatia", while one of the users comments: "I placed your image into a colour spectrum analysis piece of software we have at work (art department at a school). It recognised 1176 different shades within the water.